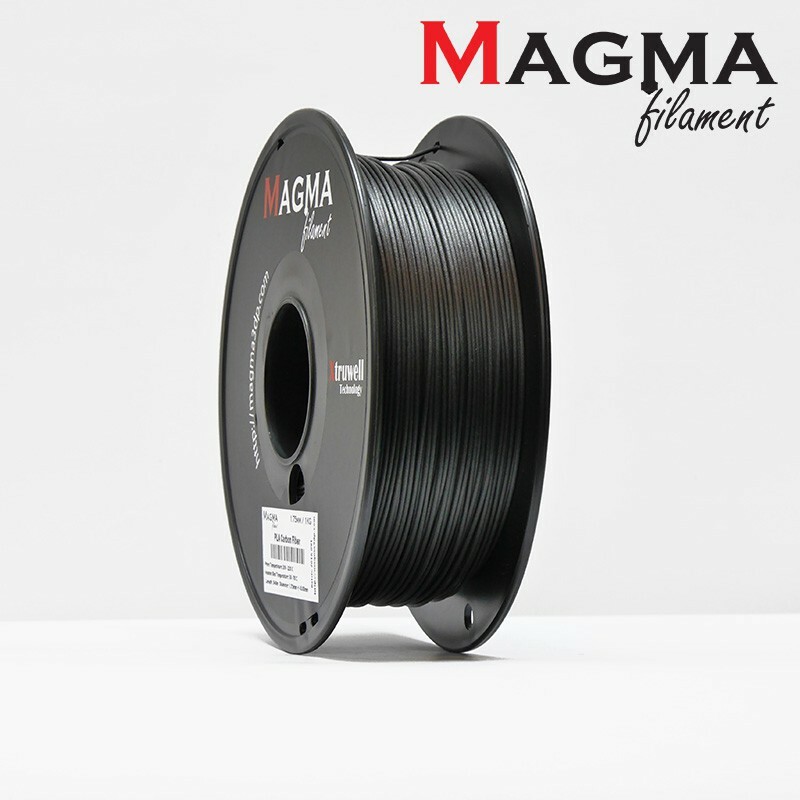 Magma Carbon Fiber PLA Filament is made of PLA, 20% carbon fiber powder and special additives. PLA derived from renewable plant resources which makes it biodegradable and more ecologically friendly. It has all the mechanical properties of PLA in terms of toughness, durability, user- friendly and better aesthetic quality. Magma PLA Carbon Fiber Filament has added carbon fiber powder and some additives to achieve matte, light and strong appearance. Magma Carbon Fiber PLA Filament is perfect for 3D printing to achieve matte, light and strong appearance objects. It is odourless and less prune to warping hence, making it suitable to print bigger mold. Heated bed is optional. The advancement in new technology has made PLA filaments to be used in 3D printing perfectly. PLA, Food Grade Material and comply to FDA standard with 20% Carbon fiber powder with some special additives.